Seasoning sauteed vegetables really bring out the flavors of the vegetables while adding another dimension to the dish. Garlic is one of the best seasonings you can add to sauteed vegetables. The addition of garlic will enhance the flavors of your dish. 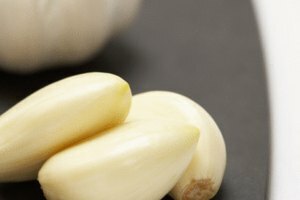 The sharp, bitter and almost biting flavor as well as concentrated pungent aroma of raw garlic become more mellow and soften when you saute them. 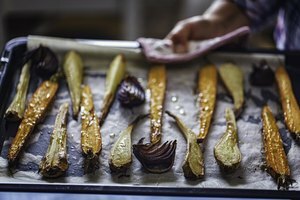 Sauteing vegetables with garlic is a classic way to season vegetables. Heat a saute pan and add enough oil to completely cover the bottom of the wok or pan. Peel the outer skin of the garlic cloves using your fingers and cut the garlic cloves into thin slices. When the oil starts to sizzle toss the garlic into the wok or pan. Heat the garlic until it is golden. 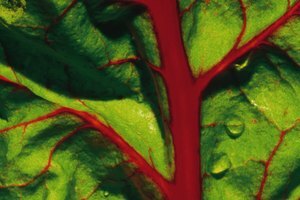 Always wash vegetables thoroughly in cold water several times to remove soil and possible impurities before sauteing them. After the garlic has turned a golden color keep them off the bottom of the wok or pan to prevent them from charring. Add vegetables. Pour in two tablespoons of water. Cook covered for 1 minute. Then saute the vegetables uncovered. Stir the vegetables and garlic frequently. Cook for 4 minutes or until the vegetables have reached their desired tenderness. You can also glide garlic cloves against a grater to cut the garlic cloves into thin slices. The seeds of the cilantro plant are known as coriander. Coriander gives sauteed vegetables a sweet spiciness, a citrus aroma and fresh herbal fragrance. Coriander can be purchased whole or grounded. Cook whole coriander seeds in a pan under low heat to bring out their toasty aromas. Buy whole coriander seeds and grind the whole coriander seeds before you cook them to bring out their fragrance. Whole coriander seeds have more flavor but ground coriander is a convenient option if you are short on time. Saute vegetables in oil and cook covered with two tablespoons of water for 2 minutes. Add ground coriander. Stir frequently to evenly distribute the ground coriander. Cook uncovered for 4 minutes or until the vegetables are tender. Do not cook the vegetables covered for more than a few minutes to prevent the vegetables from becoming limp. Sauteing vegetables with ground pepper adds an element of spice to vegetables like celery and turnips. It also enhances their naturally subtle flavors by adding complexity. Ground pepper also adds spice to sweet vegetables like carrots and peas and reduces the bitterness that can sometimes come from the skin on eggplants. Keep mixing the ground pepper so that it penetrates the bottom layers of the vegetables. This also prevents any one part from being over seasoned while other parts are under seasoned. Pour enough cooking oil of your preference to cover the bottom of the wok or pan. Heat the cooking oil under medium heat. Add sliced or diced vegetables. Pour two tablespoons of water into the wok or pan. Cook covered for 2 minutes. Distribute ground pepper evenly over the vegetables with a light hand. Saute the vegetables for 4 minutes. Stir often until tender. 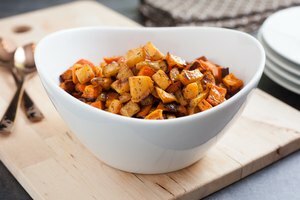 Ginger is a versatile seasoning that can be used to season sweet as well as savory dishes. Ginger is related to bamboo, turmeric and cardamom and its zestiness, spiciness and acidity enhance the subtle flavors of many vegetables. Slice, julienne or mince ginger when using it to season sauteed vegetables. Slice, julienne or mince fresh ginger to bring out its heat and acidity. Ground ginger is milder and sweeter making it perfect for baking. Heat oil in a pan under medium heat. Toss the ginger in the heated oil and cook it in the oil until it turns a darker shade of yellow. Add two tablespoons of water. Place the vegetables into the pan. Stir the vegetables and ginger so that the ginger is evenly distributed. Cook covered for 2 minutes. Then cook uncovered for an additional 4 minutes. Stir frequently until tender.